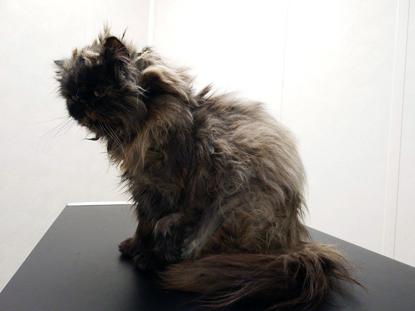 Our Haslemere Adoption Centre recently had the lovely Autumn brought into their care after she’d spent some time living outside. 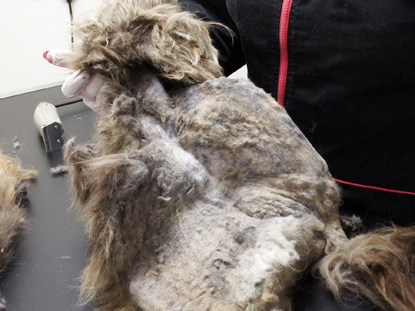 Her coat was heavily matted because it hadn’t been groomed. 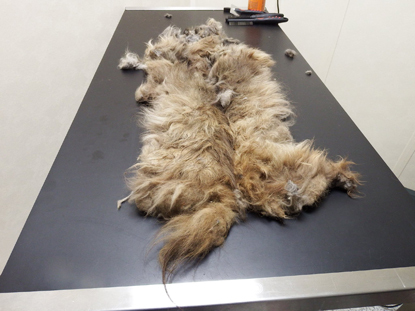 Fur can become matted when a cat’s undercoat sheds (moults) and gets trapped under the top layer of fur. 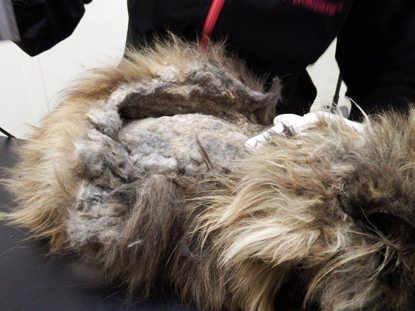 Poor Autumn was in a lot of discomfort but after a much-needed clipping treatment, she is on the road to recovery. 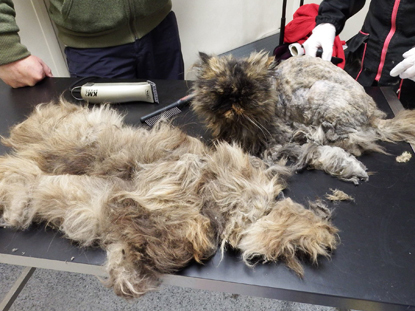 Autumn before her clip – her whole body was a solid hard lump! 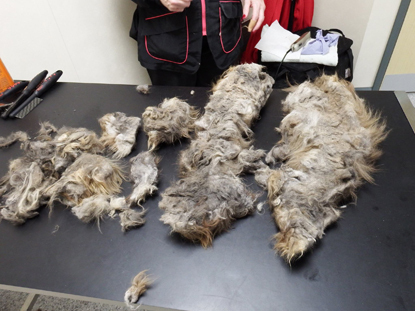 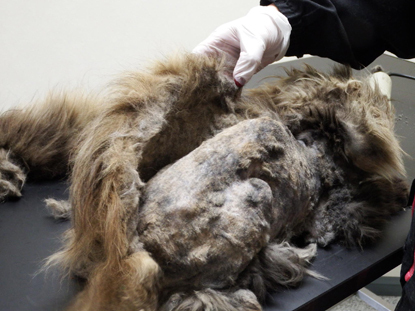 These pictures really stress the importance of grooming longhaired cats regularly. 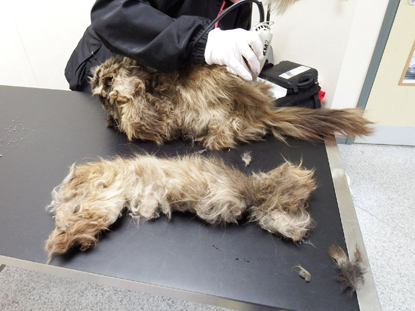 If you struggle to groom your cat, ask your vet for advice. 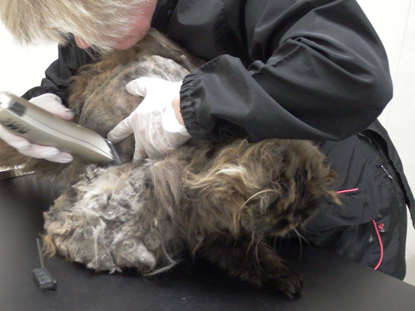 To find out more about cat care, read our Caring for your cat leaflet.